Paulina de Graffenried was born on 16 October 1816 in Chester County, South Carolina. She married James Belton Pickett circa 1833 in Chester County, South Carolina. Paulina de Graffenried became a widow at the 4 June 1842 death of her husband James Belton Pickett. She married James Blair Gilmer, son of George Oglethorpe Gilmer and Martha Harvie Johnson. They divorced after a few years, and she resumed using the surname Pickett. 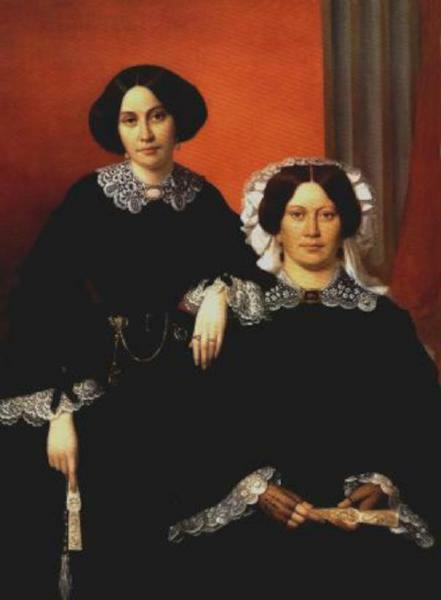 Paulina de Graffenried became a widow at the 8 August 1856 death of her husband James Blair Gilmer. She was listed in the 1860 Slave Schedule at Bossier Parish, Louisiana, apparently at three sites or plantations: at "Cash Point" 65 slaves, 13 age 10 and younger, 20 slave houses; "Willow Chute" 60 slaves, 14 of whom were age 10 or younger, and 18 slave houses, and at "Rough & Ready" 76 slaves, 21 of whom were age 10, and 18 slave houses. Paulina de Graffenried appeared in the US federal census of 1 June 1860 in Benton PO, Bossier Parish, Louisiana, enumerated on three different plantations on one page, one with overseer James Mathews, the next with overseer J. A. C. Wilard, and the third with overseer A. L. Chapmen. She apparently was enumerated in the census of 1 Jun 1870 in McMinnville, Warren County, Tennessee, in the large household of farmer Jonathan Smith. Paulina de Graffenried appeared in the US federal census of 1 June 1880 in Bossier Parish, Louisiana, enumerated in the household of her son John Pickett with his wife and eight children, and a few household servants. Paulina de Graffenried died on 6 June 1899 at age 82. She was interred at Cottage Grove Presbyterian Cemetery, Bossier City, Bossier Parish, Louisiana.